After a global search and some absolutely knock-out auditions, we are ecstatic to announce the appointment of the one and only EMMA RULE to our soprano role! 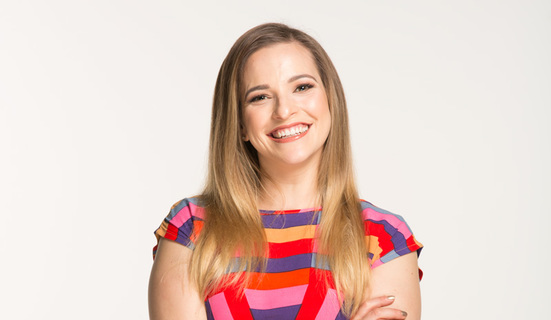 Emma is a Melburnian born and bred, with a wide vocal palate; her early training beginning in the wonderful Young Voices of Melbourne, with subsequent forays into the worlds of classical and jazz, culminated in a music theatre degree from the Victorian College of the Arts. Emma was also a founding member of the vampy Victorian vocal vixens Ginger & Tonic. We were particularly bowled over by Emma's exquisite tone, electric stage presence and wicked sense of humour. We know you'll love her as much as we do. Emma will be stepping onto stage with us from August onwards. Welcome to the family, Em!